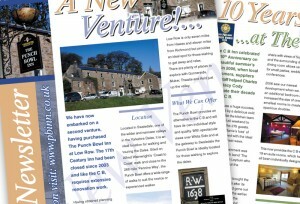 Keep your customers well informed by mailing them a regular newsletter. This ‘reminds’ them of you and increases the likelihood of repeat business. This is especially true of the hospitality industry. 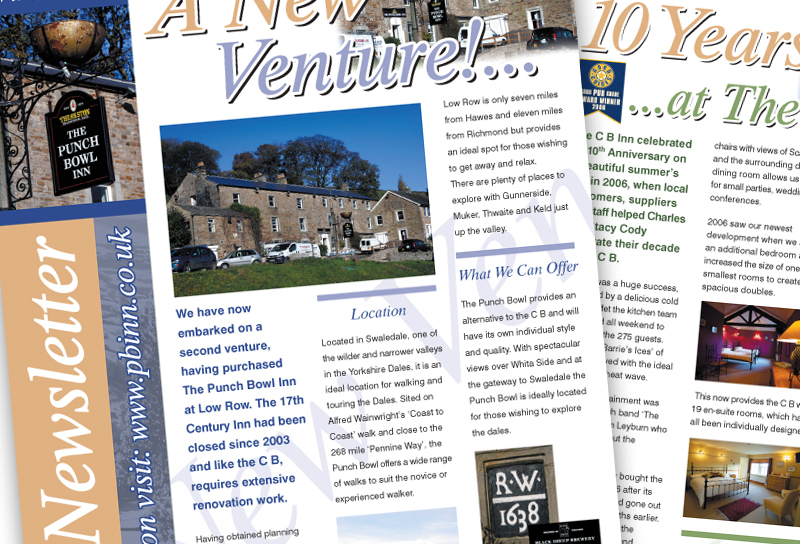 Charles Bathurst Inn and Punchbowl Inn, two Dales pubs, are fully aware that this kind of marketing really works, and regularly send out newsletters and offers to their mailing list of past customers.